Do you live in Ireland's tidiest town? The Minister for the Environment officially launched the competition, saying that it is important to present Ireland “in the best possible light”. IS YOUR TOWN the tidiest town in Ireland? The 2013 TidyTowns competition has just been launched, so now is the chance to show off your beautiful town. 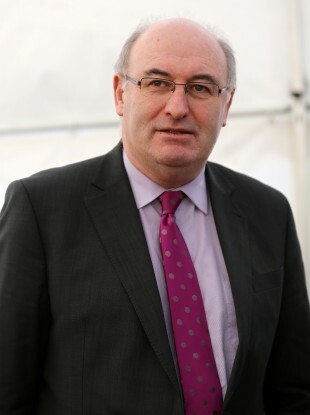 The competition was officially launched by Phil Hogan, TD, Minister for the Environment, Community and Local Government, together with Martin Kelleher, managing director of SuperValu, main sponsors of the competition. Minister Hogan said that the competition encourages people to get out there and “help your community shine”. The efforts of local people can bring huge benefits to their communities. Last year over 850 cities, towns and villages entered the competition and I hope that it will be even bigger and better this year. The Minister mentioned the importance of presenting Ireland in the best possible light, as a clean and green destination in which to live , do business and visit, especially in this the year of The Gathering. He said that his department has been working in partnership with Volunteer Ireland to grow voluntary effort, and is asking TidyTowns groups to take advantage of this initiative. Martin Kelleher, managing director of SuperValu, said that 2013 marks the 22nd year of its involvement with TidyTowns and the second year of SuperValu’s title sponsorship. As a company, we feel that there is no better way to demonstrate our commitment to building vibrant local communities across Ireland, but to be actively involved in SuperValu TidyTowns. The Minister expressed his gratitude to SuperValu for their continued support. As well as the main competition there are also 10 special competitions that people can enter. The closing date for receipt of entries for all of this year’s competitions is 23 May 2013. Entry forms can be obtained from the TidyTowns Unit in the Department of the Environment, Community and Local Government – phone 071 9186744 or visit www.tidytowns.ie or www.supervalu.ie. Email “Do you live in Ireland's tidiest town?”. Feedback on “Do you live in Ireland's tidiest town?”.